Adding a cooling green drink to your day can cool your body from the inside out and help you feel balanced. Wheatgrass contains 100 different nutritional elements for your body and chlorophyll. 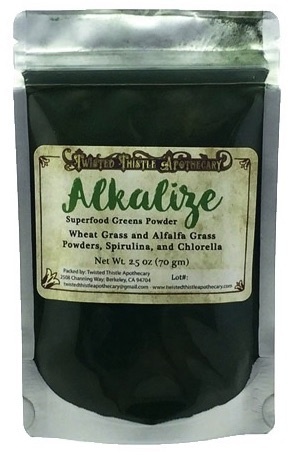 Chlorophyll is a natural liver cleanser and detoxifier, acts like an antioxidant to reduce free radical damage, is a blood strengthener and can help give you a boost in energy. Spirulina contains 2800% more beta-carotene than carrots and 3900% more iron than spinach. Alfalfa Juice is packed with vitamin B-1, aka thiamine that helps your body convert carbohydrates into useable energy, as well as break down and use fats and proteins. 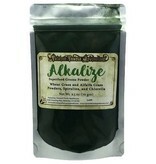 I love the Alkalize blend! 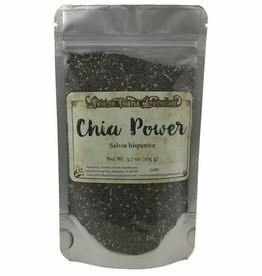 I drink it every morning with chia seeds.